As a specialized small batch winery producer, Paynes Rise is a premium boutique winery nestled in the Upper Yarra Valley. Established in 1860, Paynes Rise selects its fruits from their Seville-based vineyard and uses them to produce a range of unique wine varieties. This property was home to Thomas Payne, who was the first settler in Seville, Victoria. Visitors to this winery should take a walking tour and wander through the historic mansion and see the beautiful outbuildings on the property. Paynes Rise Wines boasts a working cellar door within its setting. Visitors are invited to tour and taste their wines whilst enjoying a relaxing walk across this historic property. Whilst promoting the concept of fruit-driven wines, the winemakers aim to create the finest wines in the Yarra Valley for their customers. The winemakers follow small-batch processes for producing wines to make sure that each of their wines reflects the original fruit flavour. This winery is a must-visit winery for all those who love fruity wines. Take a tour to this historic winery and take a wine tasting tour. Paynes Rise also serves a range of grazing platters and on the weekends, serves gourmet pizza for lunch. 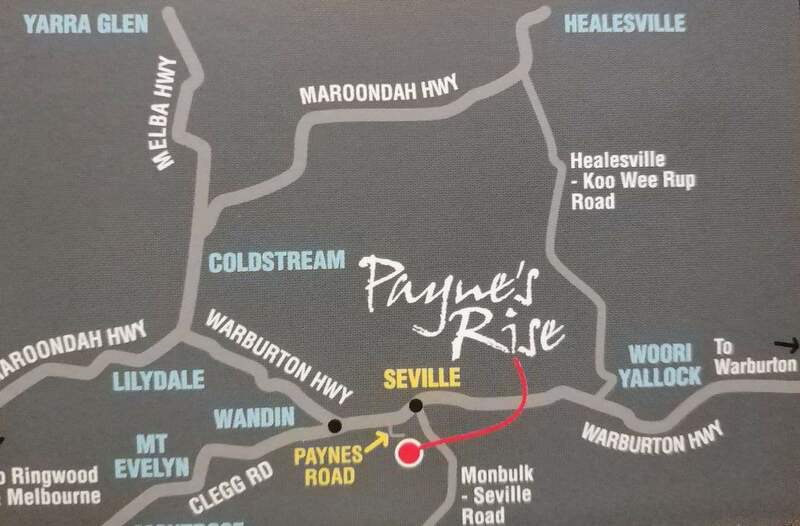 A number of outlets across the Yarra Valley sell Paynes Rise’s wines; so visitors can buy their wines at the cellar door or online. If you are looking for accommodation in the Yarra Valley, click on the link below to find the best accommodation deals.